for top quality inflatables and a friendly service for bouncy castle hire Nottingham and surrounding areas. The number one place to hire bouncy castles slides disco domes etc. We are one of Nottingham's oldest and longest family run hire companies established 2001. Be safe in the knowledge from what we have gained from our 18 years so far in this business, with your child's safety our number 1 priority. 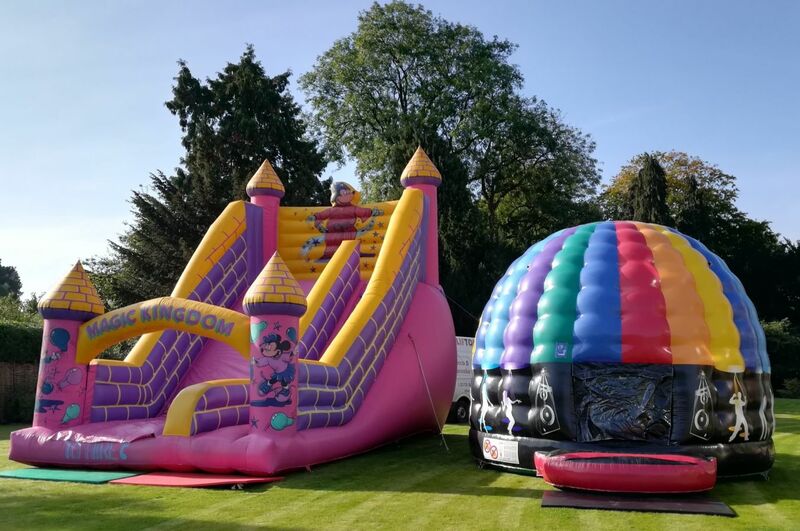 All our inflatables are tested annually and inspected before every single hire. As well as bouncy castles, slides, disco domes, rodeo bull, gladiator duel, penalty shootout, bungee run, ball pool, we also supply Candy floss hire and Popcorn hire only using commercial grade machines...and not forgetting the good old garden games Giant connect 4, Giant Jenga, Limbo, Buzz wire etc. On top of all this child's play for great fun days we also run one of Nottingham's premiere mobile disco and karaokes CC Discos and Karaoke, again the number one place for mobile disco hire Nottingham Derby Leicester and the East Midlands.